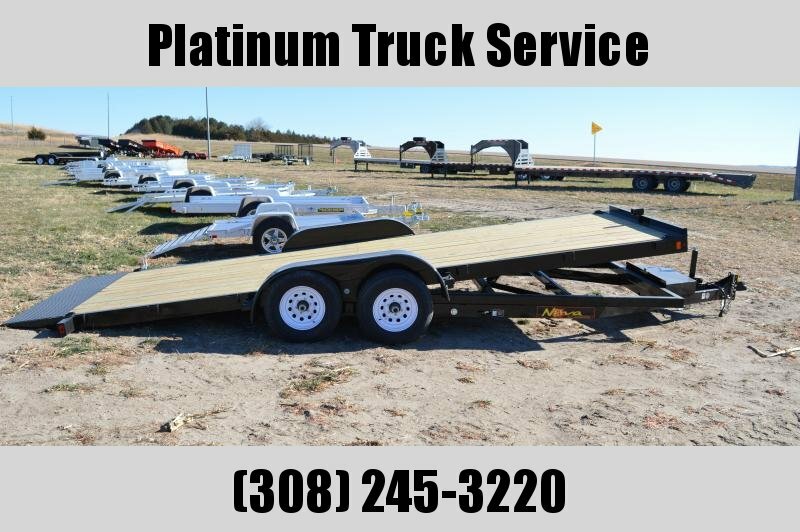 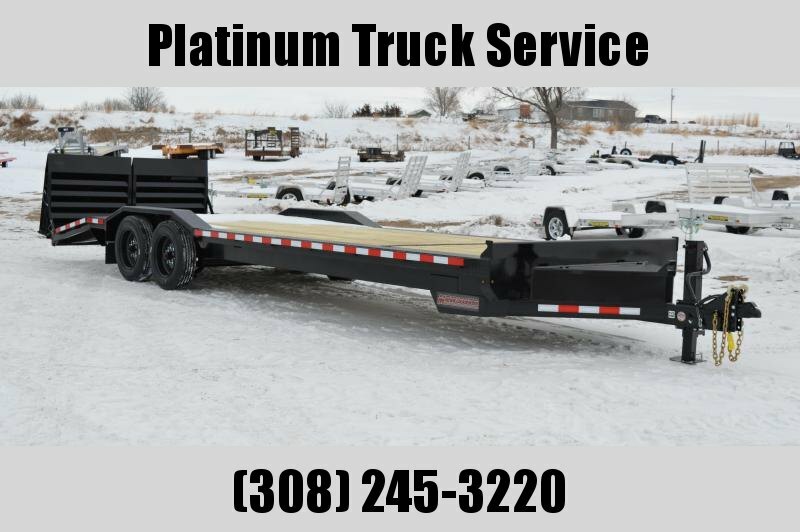 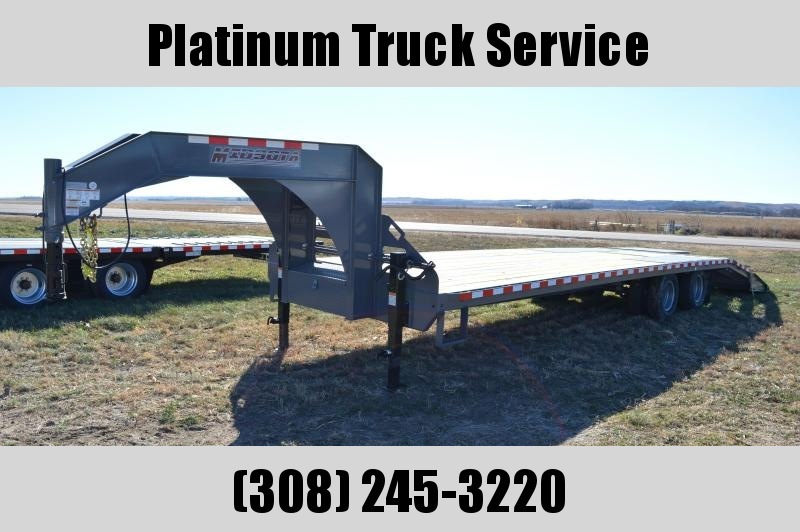 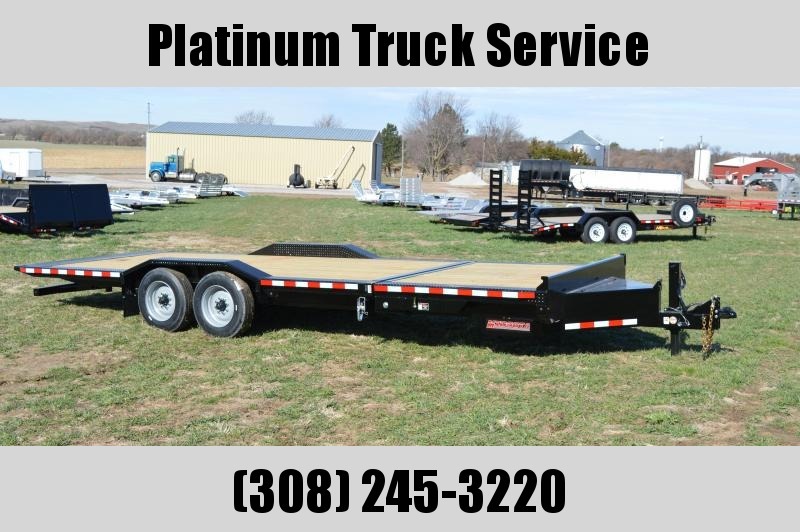 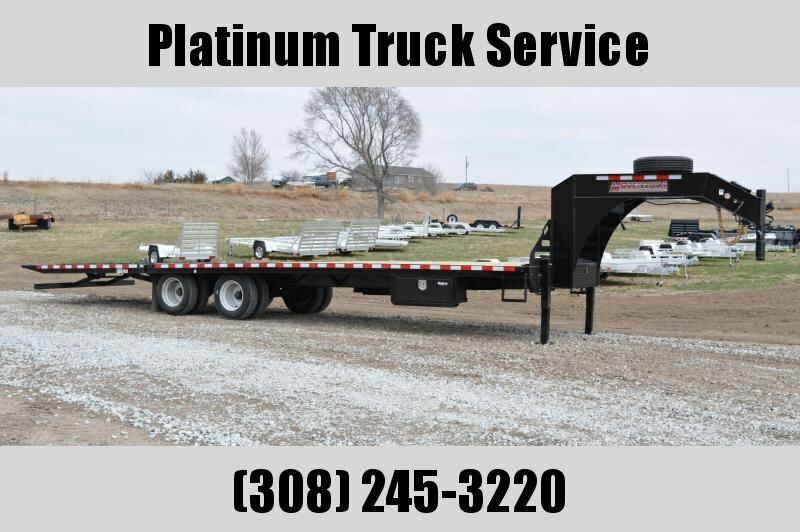 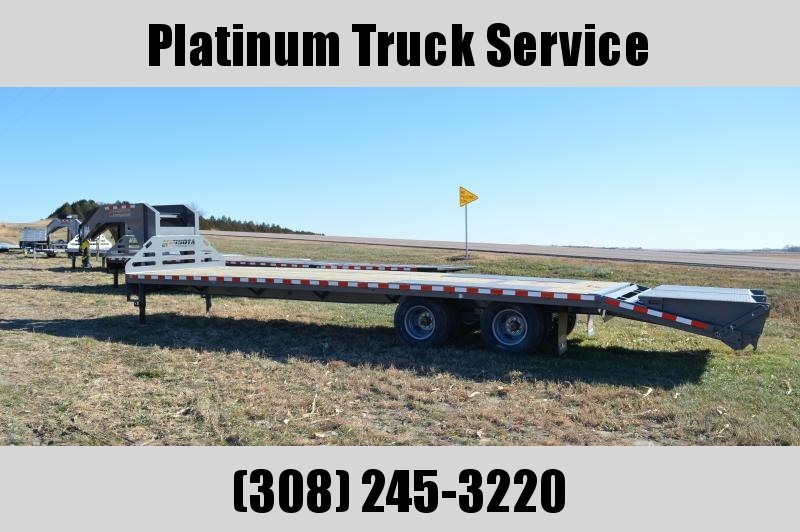 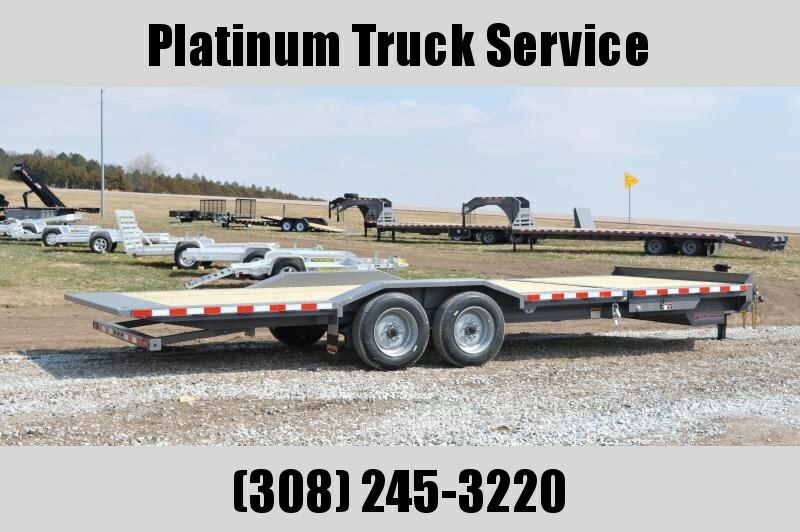 This flat bed goose neck is 102" wide x 32' long and is equipped with 12k axles that has self adjusting electric brakes . 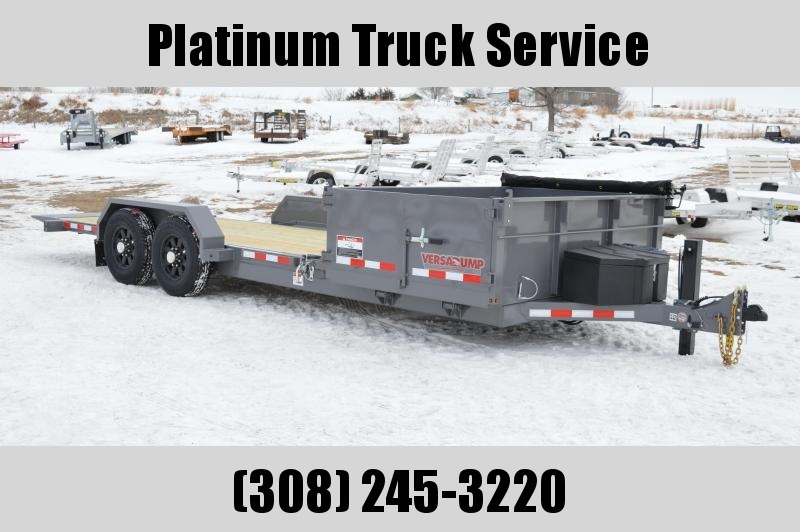 Comes with 17.5" steel wheels and 16 ply Onyx tires , also has a 10' hydraulic beaver tail that has a lift capacity of 5k lbs and a tow of 8k lbs . 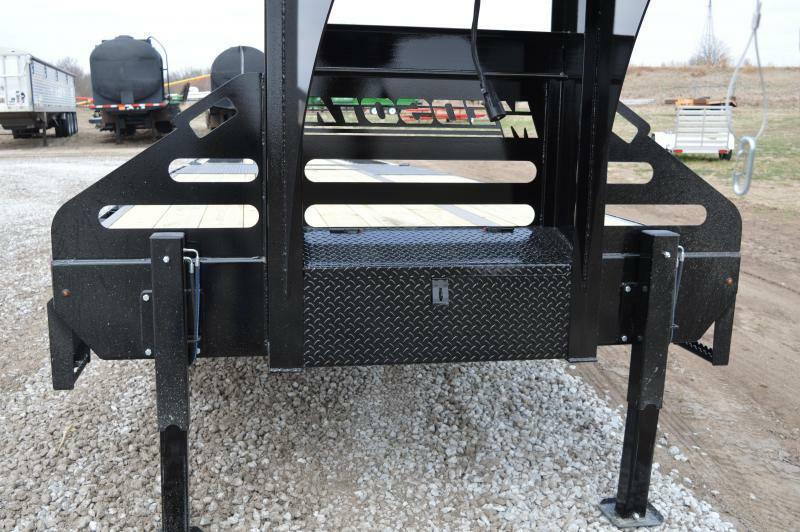 Main frame is pre loaded I beams with true pierced cross members set on 16" centers. 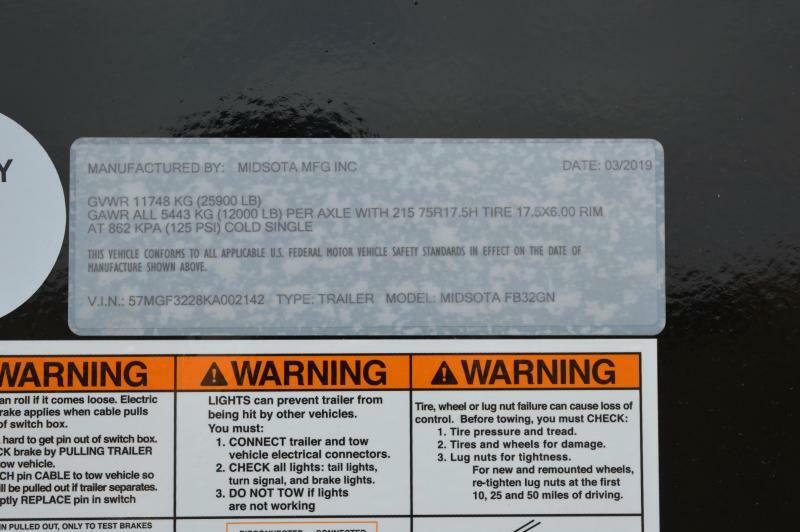 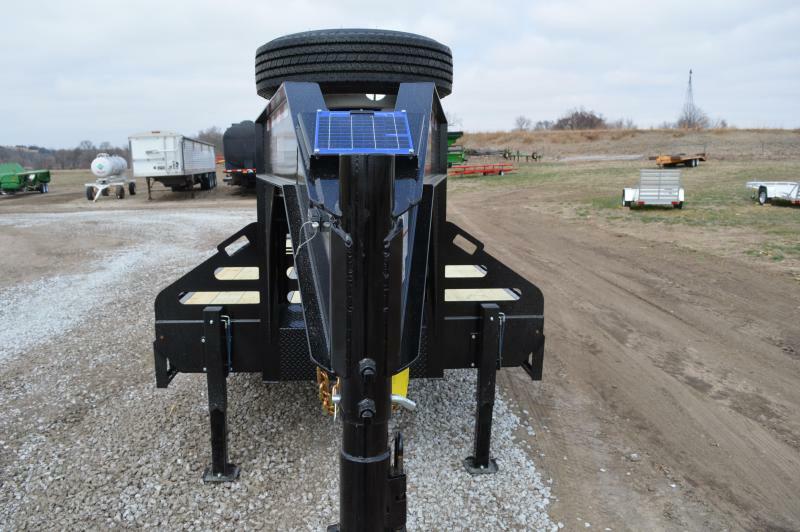 Trailer also has a true torque tube that runs the center of the trailer. 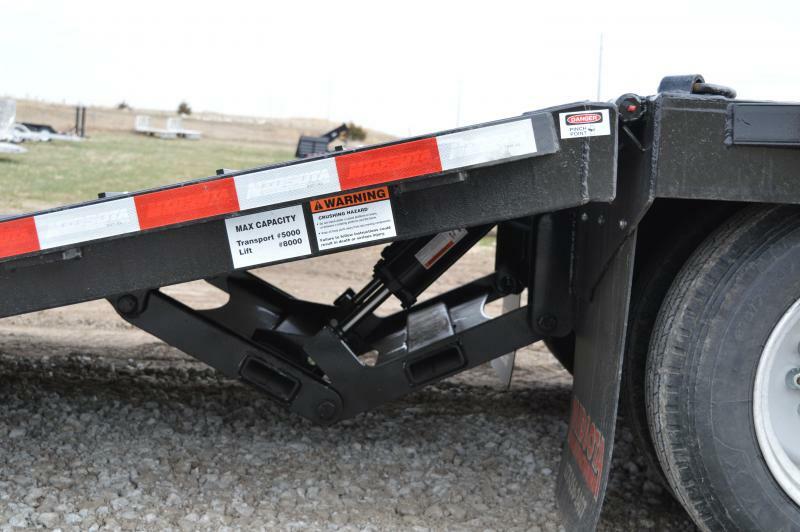 Beaver tail is operated by two hydraulic cylinders that lock into the closed position when tail is up . 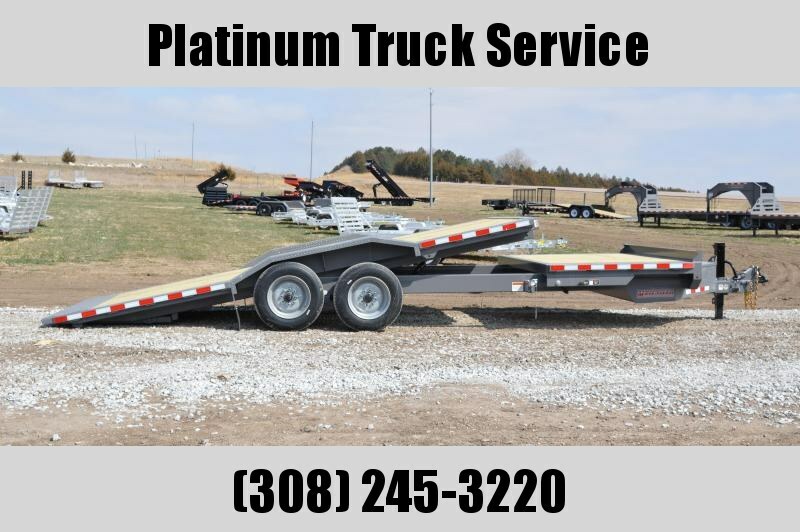 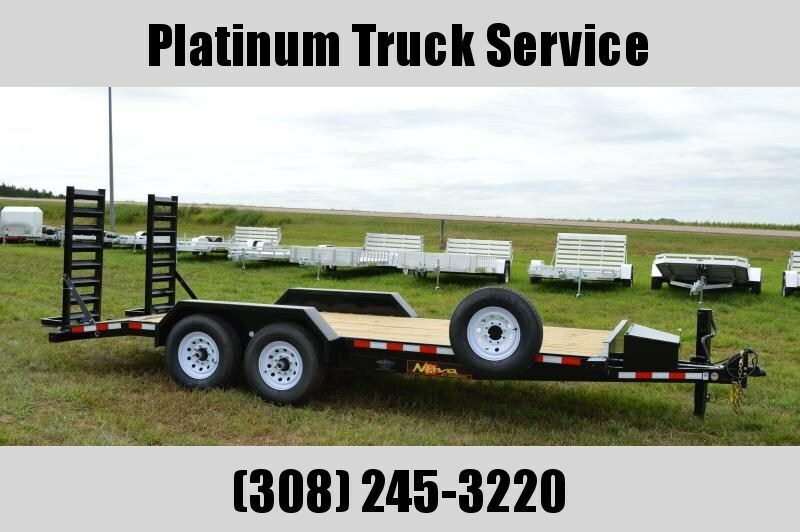 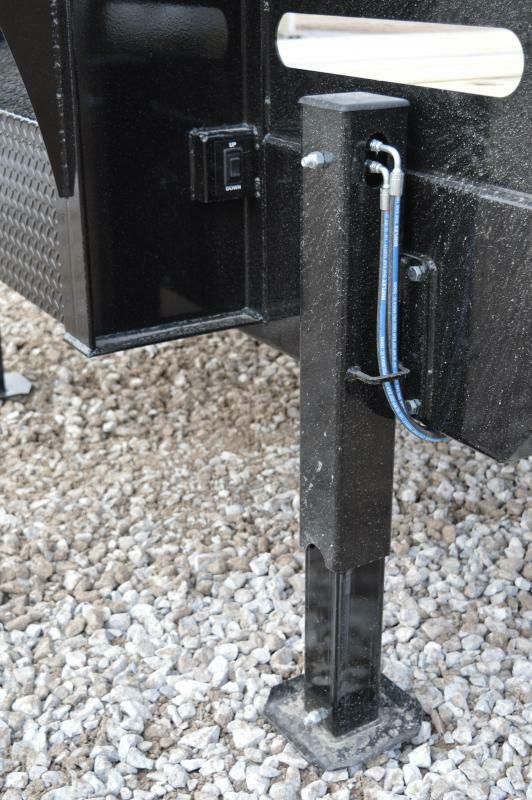 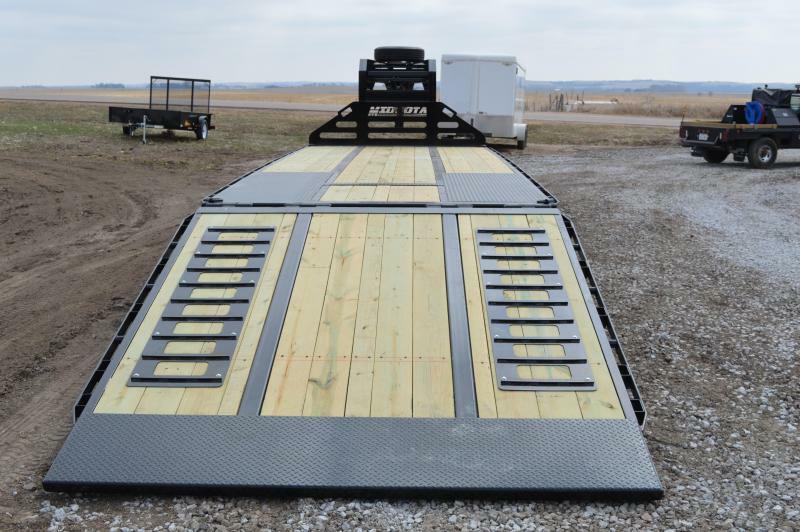 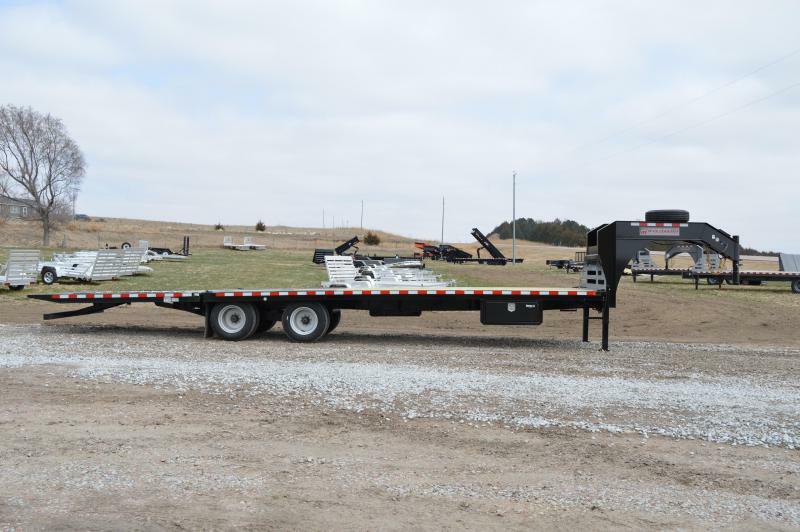 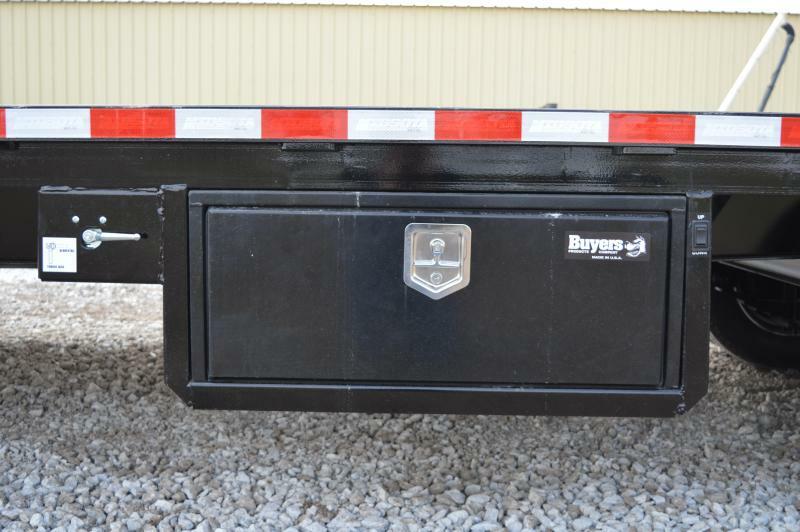 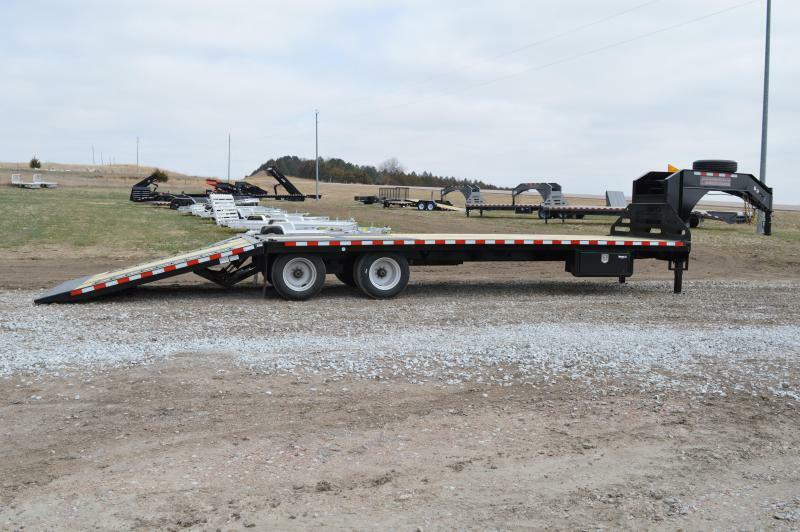 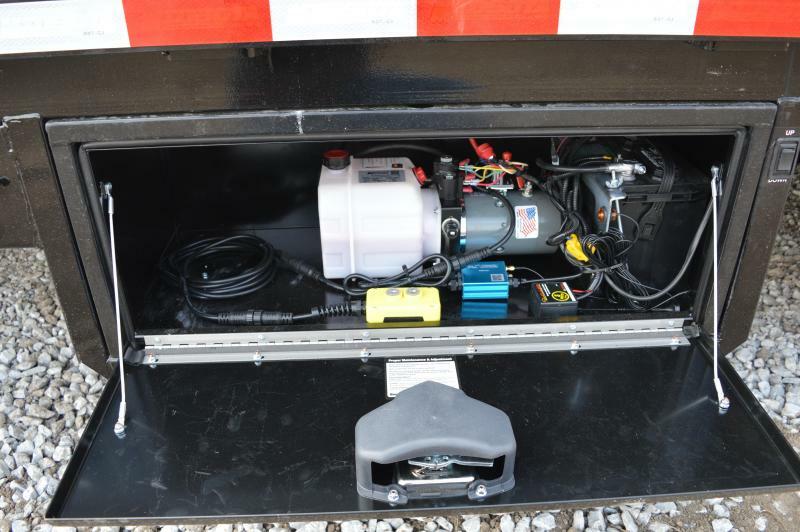 Trailer also comes with dual hydraulic tongue jacks , wireless remote system , solar charger , traction strips , steel box , side steps , spare tire carrier and tire , color is black . 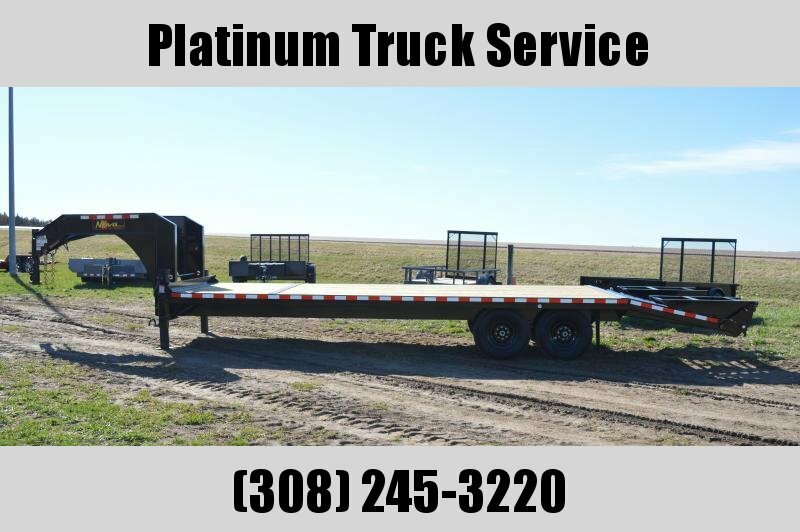 Comes with a 5 year frame warranty and a 2 year PPG paint warranty .